The Nature Trust of British Columbia is the oldest and largest provincial land trust in BC. Since 1971, The Nature Trust along with partners has invested more than $95 million to secure over 70,000 hectares (175,000 acres) of land. Partnership is key to the Nature Trust’s success. We work with individual donors foundations, stewardship groups, corporations, and all levels of government to accomplish our goals. The Nature Trust of BC will secure a large, ecologically important property that is a significant inholding to its White Lake Biodiversity Ranch lands complex. Park Rill Creek runs through the close to 80 acre property, important habitat for species at risk, including for the endangered Half-moon Hairstreak butterfly and other rare species such as Brewer’s Sparrow, Lewis’s Woodpecker, Painted Turtle and Blotched Tiger Salamander. The property also provides habitat connectivity for wide ranging wildlife species, through the sagebrush, grasslands, wetlands and woodlands, as it is surrounded by the extensive Nature Trust of BC holdings that make up the White Lake Basin Biodiversity Ranch. The White Lake Biodiversity Ranch encompasses over 37,000 hectares of land under varying tenures, including private (fee simple) land, leased land, and crown grazing license. The Nature Trust of B.C., with support from a number of conservation partners, acquired the Biodiversity Ranch complex of land components over many years starting in 1993. A large portion of the lands are leased or licensed for management of livestock, with a partnership and stewardship focus on operations that consider and address biodiversity values. The benefits of this project will extend to the entire region, as the majority of Nature Trust properties are open to the public to enjoy. Increased protection of Park Rill Creek and surrounding habitat will improve water quality and biodiversity. The Park Rill property has been a high priority for acquisition for many years. The Nature Trust of BC is still fundraising to support the land management costs. If you would like to support this acquisition, please donate or call toll free 1.866.288.7878. The project was approved by the Regional District Okanagan Similkameen Board and $200,000 was allocated from the South Okanagan Conservation Fund in 2018. The South Okanagan Conservation Fund dollars match funding from many other sources including from other levels of government, as well as private donors, grants and foundations. The project is expected to complete by February 1, 2019. Okanagan Nation Alliance in partnership with the En’owkin Centre. Okanagan Nation Alliance (ONA) formed in 1981 as the inaugural First Nations government in the Okanagan and among other functions, works to provide technical fisheries assistance for the Nation and its eight member communities, including acting as a liaison between federal and provincial fisheries agencies and other non-government organizations. ONA is actively involved in the conservation, protection, restoration, and enhancement of fish stocks, in particular for Okanagan River sockeye salmon, only one of two populations of sockeye salmon left in the international Columbia River Basin. The En’owkin Centre is recognized internationally as a leader in the field of education, promoting an increased understanding of cultural traditions and ecological literacy among both aboriginal and non-aboriginal communities through hands-on, experienced based education and conservation through the ECOmmunity Place Locatee Lands project. 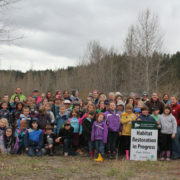 These two inter-connected habitat restoration projects will restore natural spawning and rearing areas for native salmon species in the Okanagan River and will reconnect the Okanagan River in Penticton to the historic floodplain habitat at the ECOmmunity Place Locatee Lands. 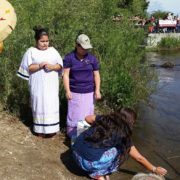 Creating Salmon Spawning Areas in Okanagan River – According to Traditional Ecological Knowledge, the river channel in Penticton used to be rich in fish; Steelhead, Coho, Sockeye and King (Chinook) Salmon. Channelization in the 1950s has severely reduced habitat in the Penticton section of the Okanagan River, making it mostly unsuitable for native fish species to spawn. Experts working on the recovery of the Okanagan River have agreed that adding gravel spawning beds to this section is one of the highest priorities for fish. This project will establish a spawning bed with natural features designed to provide quality spawning habitat for Sockeye, Steelhead, Kokanee and Rainbow Trout. Clusters of river boulders will also create habitat diversity and areas for young fish to rear and grow. 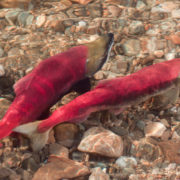 Spawning beds created at two other sites upstream by Okanagan Nation Alliance have proven to be successful and this bed could increase spawning capacity significantly – by 3000 sockeye pairs, and 10,000 kokanee pairs. Reconnecting the Okanagan River Floodplain – In addition to the loss of instream habitat, the channelization of the Okanagan River in the 1950’s also contributed to the loss and disconnection of the river to the rich riparian, wetland and floodplain habitats. ONA and En’owkin Centre will re-engage 12 hectares of the historic floodplain on the ECOmmunity Place Locatee Lands, reconnecting the river to the last remaining contiguous piece of floodplain wetland in the Penticton area. The opportunity is significant as the only location to do so without requiring changes to existing urban infrastructure. The ECOmmunity Place Locatee Lands are home to many species at risk, and establishing the floodplain connection will help to re-establish habitat for wildlife including birds, amphibians, reptiles, and culturally significant species like ntytyix, Chinook Salmon Food Chief. Benefits to the South Okanagan region include natural flood protection, salmon spawning viewing, and restoration of fish and wildlife habitat, improved water quality and more. This project was approved by the Regional District Okanagan Similkameen Board and $ 40,260 was allocated from the South Okanagan Conservation Fund in 2018. The South Okanagan Conservation Fund dollars are matching significant confirmed funding from other sources. The project is expected to complete by February 1, 2019. OSCA has been delivering species recovery outreach and extension for more than fifteen years, through strong working relationships with other non-government organizations, local governments and agricultural industry groups. 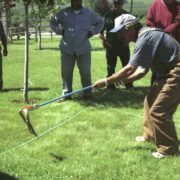 OSCA is well-known for offering seminars and field workshops on species at risk for the viticulture and orchard industries, municipal public works and park staff. Over many years, OSCA and project partners, have developed multi-lingual printed material about wildlife management targeted to landowners and outside workers who encounter sensitive species at risk. The Okanagan Similkameen Conservation Alliance is undertaking two areas of work to reduce the impacts that everyday work activities have on important wildlife in the South Okanagan. The Okanagan Valley has more species of bats living here than anywhere else in Canada, many of which are at risk because of habitat loss. Bats have lost places to forage for food, roost, hibernate in the winter and birth their pups in the summer. The ‘Managing At-Risk Wildlife in the Workplace’ project helps to reduce threats to bats and other species at risk including snakes, amphibians, and birds through outreach and learning workshops. Because four species of bats commonly use buildings as roosting sites, OSCA will reach out to pest control professionals and building contractors to communicate and demonstrate best practices to reduce bat mortality and habitat destruction. OSCA will also work with grower organizations, agricultural managers and farm workers to raise awareness about working safely in snake country, reducing threats to wildlife such as bats and amphibians, as well as ways to safely and legally deter fruit-eating migratory birds. OSCA works with many organizations to coordinate and deliver outreach to address some of the most important elements of conservation in the region. This work will be supported by the Okanagan Community Bat Program and the Okanagan Similkameen Stewardship Society, who both work with private landowners and managers to conserve and steward species and ecosystems at risk. The project was approved by the Regional District Okanagan Similkameen Board and $ 7840 was allocated from the South Okanagan Conservation Fund in 2018. 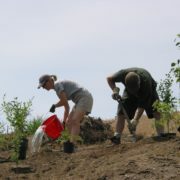 The South Okanagan Conservation Fund dollars match funding from other sources as well as in-kind contributions. The project is expected to complete by February 1, 2019. The Okanagan and Similkameen Invasive Species Society (OASISS) has been actively participating in prevention, detection and management of invasive plants in the Okanagan-Similkameen since 1996. OASISS addresses invasive species and their pathways of spread by prioritizing management areas and species through multi-stakeholder cooperative coordination, and is actively involved in public education and outreach initiatives and community stewardship programs that involve on-the- ground action. The Okanagan and Similkameen Invasive Species Society will deliver an ‘Invasive-Free Certification Program’ for landscapers, horticulturalists and earth-moving companies to help with habitat conservation and reduce the introduction, spread and establishment of invasive species in the South Okanagan. Invasive species are typically non-native species that have been introduced to British Columbia without their natural predators or diseases that would normally help keep them in check in their native habitats. Without their natural enemies, these invaders are able to rapidly out-compete native plants, ornamental species and agricultural crops. Human development alters biologically important and sensitive landscapes that are valued for biodiversity when invasive plants are introduced, spread and then established and it makes habitat conservation more challenging. The program will promote invasive plant prevention and management into the practices of horticulture and landscape companies serving the South Okanagan through two invasive-free certification workshops and materials that highlight best management practices to avoid and minimize invasive plant impacts during construction, development and landscaping. The benefits to this program will be seen throughout the region as invasive species can significantly reduce the quality and quantity of crops, increase the risk of wildfire, erosion, and can reduce land values. 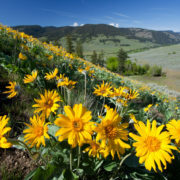 Bylaws also legally mandate landowners in the RDOS area to address and control noxious weeds, this program will educate those who provide landscaping and horticultural support to private and commercial landowners. complete by February 1, 2019. Okanagan Nation Alliance (ONA) formed in 1981 as the inaugural First Nations government in the Okanagan and among other functions, works to provide technical fisheries assistance for the Nation and its eight member communities, including the Penticton Indian Band, and acting as a liaison between federal and provincial fisheries agencies and other non-government organizations. SnPink’tn (The Penticton Indian Band) represents one of the communities of the Okanagan Nation. The Okanagan people have been around since time immemorial, long before the arrival of the Europeans. The original people of the Okanagan are known as the Syilx speaking people – the “Okanagans” and according to their history they have been here since the beginning of people on this land. The Okanagans (Syilx) people occupied an area which extended over approximately 69,000 square kilometres. Their history was passed on from one person to another and from generation to generation. It is a history of the meaning of being Syilx, rather than a history of dates. SnPink’tn (The Penticton Indian Band) is located on beautiful bench land comprised of three reserves. “We are Syilx who receive our strength from timixw and encompass what is good for our livelihood. We are committed to our language and the teachings of our captiklxw and respect that everyone has value and purpose to come together as one.” (taken from the PIB website). The channelization of the Okanagan River in Penticton in the 1950’s also had significant impacts to fish habitat in tributaries like Ellis and Shingle Creeks that in themselves supported a diverse array of fish and wildlife that sustained people in the Okanagan for generations. Ellis Creek drains a watershed that is 122 square kilometers through the community of Penticton, and its health and functioning is more important than ever in the face of climate change and for salmon species now that fish passage has been enabled downstream on the Okanagan River. Ellis Creek historically was home to indigenous Kokanee and sea-run salmon species in addition to Longnose Dace and Rainbow Trout. The catchment basin and rock weir was constructed to retain fine sediments from upstream, and prevent them from entering the Okanagan River, but it has prevented most fish from passing through to upstream spawning grounds. Passage project will provide a more functional creek, and a more natural and healthy ecosystem that ensures our fish and wildlife, and water quality for the community to enjoy. The project was approved by the Regional District Okanagan Similkameen Board and $ 50,000 was allocated from the South Okanagan Conservation Fund in 2018. The South Okanagan Conservation Fund dollars match funding from other sources including from other private grants and foundations. The project is expected to complete by February 1, 2019. This project will permanently protect a 5 acre parcel containing rare and endangered lowland riparian and wetland habitats including some of the last remaining mature black cottonwood forest in the South Okanagan. This special place is also home to many endangered species, buffers the only known Great Blue Heron rookery in the entire South Okanagan valley, and is part of a larger effort to re-naturalize the Okanagan River floodplain – providing natural flood relief and recovering salmon populations. The property is a Certificate of Possession (CP) property, or “locatee” land on the Penticton Indian Reserve #1, directly adjacent to the Okanagan River Channel and the City of Penticton. The En’owkin Centre, through the ECOmmunity Place Locatee Lands project, is leading the process to purchase and transfer the CP parcel from the current holder, to be held in trust, in perpetuity, for all Penticton Indian Band members for environmental protection and ecologically sustainable cultural use. Securing this parcel will provide benefits to the entire South Okanagan region including ensuring water quality and quantity, protection of natural floodplain habitats, sensitive terrestrial ecosystems; habitat for native plants and wildlife including for multiple species at-risk and species of cultural significance to the Syilx (Okanagan) people. 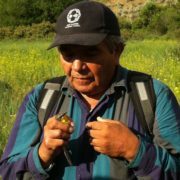 The En’owkin Centre highlights future opportunities for future habitat restoration and enhancement; habitat connectivity corridors for wildlife, and public cultural and environmental outreach and education programs. The Regional District Okanagan Similkameen Board approved this project and allocated $57,755 from the South Okanagan Conservation Fund in 2018. The South Okanagan Conservation Fund dollars are matching significant confirmed funding from other sources. The project is expected to complete by February 1, 2019.